Wine closure methods are principally designed with one goal in mind: reduce or eliminate oxygen’s access to the wine. Oxygen interacts with the phenolics in red and white wines through a complex chemical oxidation process that converts ethanol to acetaldehyde. In small amounts, this can be beneficial to the wine and assist in maturation and aging. Depending on the grape varietal and style of the wine, oxidation is encouraged by vintners at pre- and post-fermentation stages in the vinicultural process. However, excessive oxidation results in wine spoilage. No one wants that. By the time the wine gets to the storage and aging process, oxygen (at least in larger quantities) is public enemy number 1. The problem is more nuanced than simply eliminating all oxygen. The unresolved scientific debate is whether the interaction of wine with trace amounts of oxygen positively assists in the aging and maturation process. Although a minority of scientists argue that wine aging is an anaerobic process that thrives with the complete absence of oxygen, most assert that the wine’s exposure to diminutive amounts of oxygen over time is critical for wine aging (and red wine, in particular). Because the chemistry of wine aging is not fully understood, and many alternative closure methods are relatively new, the debate surrounding the preeminent bottle closure method will not be resolved anytime soon. It will take decades of observation to fully scrutinize the effectiveness of newly-developed closures methods. For now, let’s investigate what we do know. Natural cork, derived from the bark of the cork tree, quercus suber, is one of the oldest known forms of wine bottle sealant. The cork tree is a relatively young species of oak possessing bark that is uniquely thick and resistant, allowing it to be stripped from the trunk and large branches without harming the tree. The tree bark then rejuvenates over a nine-year period. The tree thrives on the western Mediterranean coastline, particularly in Italy, Spain, Portugal and North Africa. The bark is harvested, boiled, flattened, and cut into the traditional cork shape. During the processing, corks are inspected for defects, treated for molds and yeasts, and coated with a paraffin/silicone sealant. The final product is lightweight, elastic, inert and relatively impermeable to gases and liquids. Not all “cork,” however, is created equal. The above description relates to natural cork. Technical corks are likewise derived from quercus suber, but are conglomerates of unused cork remnants that are ground into pieces and glued together. This is often cheaper, but the main concerns associated with natural cork are still present. Synthetic corks, made from synthetic plastic and bipolymers, are cheaper still but allow for greater oxygen permeation during wine storage and aging. For this reason, synthetic cork is often relegated to wines that do not have significant aging potential. There are plentiful reasons that cork has been the primary bottle stop for 600 years. First, natural cork is a renewable and sustainable resource. Second, cork has hundreds of years of history and longstanding tradition when it comes to aging wines. Third, using natural and technical corks support industries in Portugal, Spain, Italy and others that have been in existence for generations. Finally, cork can be tailored to fit different bottle shapes with precision. Cork does have its downsides. Although renewable and sustainable, cork can be expensive and crumbles over time due to age or dryness. As a result, many cellars routinely re-cork bottles every 25-30 years. The biggest deficiency, however, is cork taint. We all know it. We all fear it. A wine is “corked” (i.e., bad) if it is exposed to a tainted cork. While this problem has been known for a long time, it was only recently discovered, in 1982, that the chemical compound 2,4,6-trichloroanisole (TCA) was the primary, though not exclusive, culprit for cork taint. TCA is created when corks, which naturally contain molds and yeasts, are cleaned with hyperchlorite (chlorine) based products. Alternatives to chlorine-based products have thus far proven ineffective. The effects of TCA and cork taint range on a spectrum from mild suppression of fruit that is virtually undetectable to consumers, to moldy, damp and musty aromas and flavors that render the wine undrinkable. There is, unfortunately, no remedy for a corked wine, which should simply be tossed in the rubbish bin. Best of luck in your reimbursement attempts from the restaurant or wine shop. Sigh. Upward and onward. Note that cork taint is completely separate from finding a few fragments of healthy cork floating in your wine glass. These fragments are generally harmless and can be removed without affecting the wine. Scoop out; drink up. With continued research and development, including the use of hi-tech sensor machines to detect and remove tainted corks from the bunch, the risk of cork taint is being minimized. Notwithstanding, cork taint consternation caused winemakers to consider alternative bottle closure methods. Screw caps have been around longer than you might anticipate. With success as a closure method for a range of spirits and liquors, a French company in 1959 experimented with screw caps for wine in the hope that it could eliminate the dreaded cork taint. As might be expected amongst the pretentious French oenophiles, reaction to the screw cap was less than ideal. The concept was expeditiously discarded. With its vinous death in Europe, screw caps journeyed south to Australia and New Zealand. In this burgeoning wine region, devoid of the pomp and tradition built up in the Old World, oenologists, scientists and vintners simply wanted to know what was the most effective bottle closure method. This led to rigorous research and experimentation on a scale previously unmatched for the screw cap industry. The comprehensive findings led to the conclusion that the screw cap closure method could be ideal for storing and aging wines for short and long periods in the bottle. The ambitious screw cap initiatives Down Under commenced the screw cap revolution. Australia and New Zealand are therefore paving the vinous path for the screw cap. The rest of the world, meanwhile, is catching up. In the 1990s, cork accounted for approximately 95 percent of the global wine bottle closure market. By the beginning of this decade, that figure was reduced to around 60 percent. Screw caps consist of two components: the aluminum alloy cap and the liner, which is made of an expanded polyethylene wadding. The liner typically contains a tin foil layer that acts as a barrier to gas exchange, overlain by a polyvinylidene chloride (PVDC) copolymer resin that provides an inert surface in contact with the wine. Screw caps are a paragon of consistency. They are cheap and extremely airtight, restricting nearly all oxygen ingress. Sound perfect? Perhaps too perfect. The complete absence of oxygen exposure can cause excess reduction in aging wines. When conditions are present for excess reduction, sulfur compounds (such as hydrogen sulfide) can be formed, which often create repugnant odors, such as rotten eggs, struck flint, cabbage and rubber. Scientists are now discovering effective ways to manufacture the screw cap in a manner that reduces the risk of excessive reduction. Recent studies have demonstrated their progress, with certain screw caps maintaining a healthy and steady amount of oxygen permeation. Regardless of the wine closure method, there must be the right balance between the chemical reactions of reduction and oxidation. Perhaps the most significant challenge facing screw caps is public perception. Screw caps, unfortunately, have an image problem. Utilized early by large producers attempting to minimize cost, screw caps were (perhaps rightly) first associated with cheap, bad, bulk wine. Although today there are many high end wineries converting to screw cap (including Plumpjack Winery in Napa Valley), the early stigma is still prevalent in many circles. For the vast majority of prestigious European and American wineries, cork is still the preferred method for sealing their bottles. So, the science is still outstanding on certain aspects of bottle closure. What, then, do we know? Natural cork has been proven to be effective in extended bottle aging. However, both white and red wines have also been kept in good condition for more than 30 years using a screw cap closure. For most readers, wine closure mechanisms have two primary factors: cork taint and aging. For red wines that will not be aged extensively, as well as the vast majority of white wines (especially fresh, vibrant, unoaked white wines), screw caps work admirably. If you do not anticipate aging a wine for the next 30 years or more, then research has shown screw caps are just as effective. They might even be better. The science and chemistry of long-term aging is still not fully understood. Nonetheless, most would agree that red wines destined for long-term aging may require a certain degree of interaction with oxygen over time. It is well established that natural cork allows for a beneficial amount of oxygen transmission into the wine during aging. As for the screw cap? We don't know. This, however, is changing. Screw cap technology has evolved to provide a consistent seal with different types of liners that permit varying levels of oxygen transfer. Does this translate to effective long-term aging? I will let you know ... in a few decades. Are you going to age wine for more than 30 years? If yes, the only method so far tested for this length of time and proven to be successful is natural cork. However, natural cork has its limitations. Cork grows old, just like the rest of us. Due to crumbling and other factors, cork generally has a shelf-life of 25-30 years. For long term aging, it is likely that re-corking bottles will become necessary. 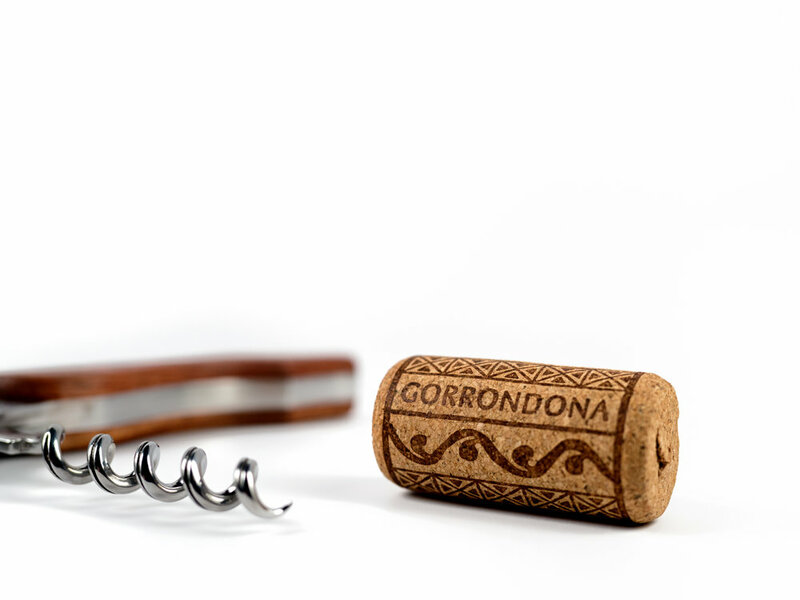 Cork has traditionally been the one-size-fits-all solution to bottle closure methodology. No longer. This shouldn’t be surprising. Wine’s raw material, vitis vinifera, has thousands of varietals. It is cultivated in over 70 countries, with thousands of designated appellations and subregions. The precise combination of biochemical engineering, terroir, climate and winemaking practices makes each varietal extraordinarily unique. With more research and sophistication, it is becoming increasingly evident that oxygen interaction required for aging is highly dependent on wine style and variety. Research from the Australia and New Zealand initiatives has demonstrated that screw caps are uniquely effective, relative to other closure methods, at retaining the natural fruitiness and youthful elements of wine. As such, screw caps appear particularly suitable for aromatic wines such as Sauvignon Blanc and Riesling. On the other end of the spectrum, red varietals and styles that are known to benefit from extended aging, such as Madeira, Nebbiolo and Cabernet Sauvignon, require a closure method that can withstand extended aging periods. At present, only natural cork has a demonstrated a track record for such extended periods. The choice isn't necessarily cork, screw cap, or another closure method. Rather, the more precise question is which closure method is most appropriate for the particular varietal or style in question. Over time, anticipate a diversity of bottle closure methods adapted to specific wine styles and varietals. While rigorous scientific analysis can assist in determining the effectiveness of a particular closure method, the psychological experience of the consumer should not be ignored. For example, in a recent study it was shown that the brain can translate price into positive sensory pleasantness. In other words, the more a wine costs, the more consumers enjoy it. Want to be happy? Buy expensive wine! In another study, participants in a blind taste test could not discern any difference in the taste of the same wine when bottled with cork, screw caps and glass stoppers. Notwithstanding, when the bottle closure method was known, these same participants preferred wine with natural cork, believing a screw cap to be of inferior quality. They were also willing to pay a premium for cork. Wine snobs in appearance, but not in taste. Conclusion: perception matters. The brain is powerful in shaping our sensory experiences. This isn’t the end of the wine closure debate. New options are coming into the market. Take, for example, the glass stopper, which is becoming increasingly popular in Europe. This closure device is made of a glass (or less frequently, plastic) plug with a flat top and an inert “O-ring” seal that restricts the wine’s interaction with oxygen. Another alternative closure mechanism with a catchy name is the Zork, functionally similar to the screw cap, with a cap and foil lining that acts as an oxygen barrier, but additionally includes a plunger mechanism that affords the ability to reseal the bottle. Vacu Vin meets screw cap. More options will undoubtedly find space on the retail shelves. One fact is indisputable: the mighty cork has competitive company, and it is here to stay. Technology is unequivocally changing the wine industry. For some, reluctantly. The wine closure debate is only a small notation in this larger context. If it ultimately results in better wine, everyone wins. In the interim, embrace the screw cap. It can deliver the same great tasting wine in many cases while keeping a few extra bucks in your pocket. I’ll take that deal anytime.